In 1988 there was a ‘boom’ in the French cinemas with ‘Le grand bleu’ by Luc Besson, a film that established a way of watching and filming the sea. 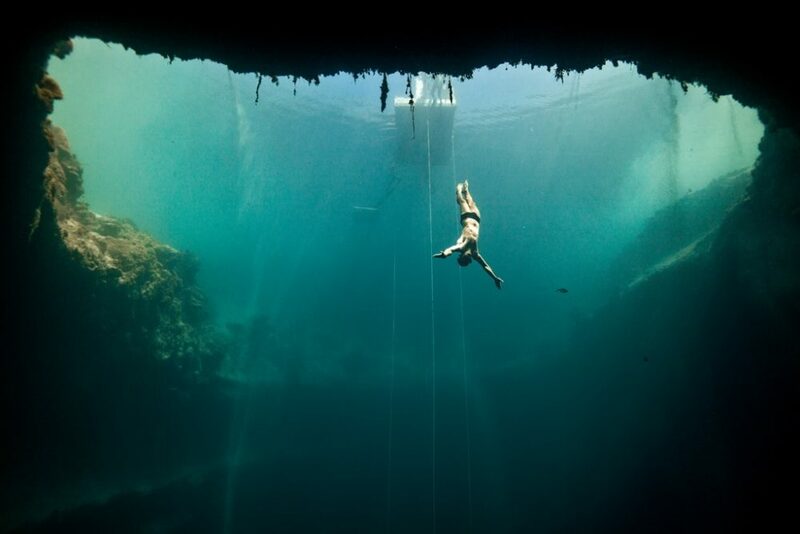 He was inspired by the submariner Jacques Mayol, the first man to reach 100 meters in apnea (that is, lung). The documentary ‘Dolphin Man’ by Lefteris Charitos rescues his figure and marine philosophy. And it opens in the Docs. “At the bottom of the sea the water is not even blue anymore and the blue of the sky is only a memory”, explained submariner Jacques Mayol, the first man to reach 100 meters in apnea. A world record that he established in 1976 when he was 49 years old (at 56 he reached 105). But Mayol did more than set records. He opened the way to a certain marine philosophy, wrote several essays – such as the mythical Homo Delphinus (1986) – to remind us that man was born of water, that the ocean is part of our being and that “there is a dolphin in all of us”. Luc Besson immortalized him forever in Le grand bleu (1988), a cult film inspired by Mayol and his rivalry with the Italian freediver Enzo Maiorca (who played a young and bronzed Jean Reno). Since its premiere in Cannes, the film was a phenomenon in France, where it reached 9.2 million viewers, and that lasted more than two hours and the tempo of certain scenes was dilated in almost mystical images of the Mediterranean. Yves Klein patented his own shade of blue. For Besson invented a cinematic blue, a way of filming the sea, almost as a place of inner discovery. The Greek director Lefteris Charitos returns to that way of approaching the sea in his documentary Dolphin Man, which premieres today at the Docs Festival. The film is preceded by awards at the festivals of Thessaloniki, Adelaide (Australia), Tokyo and, most recently, Miami, where in March he celebrated his American premiere, followed by a Le Grand Bleu pass in which actor Jean was present -Marc Barr, who played Mayol 30 years ago and now puts his voice as a narrator in Dolphin Man . Curious. Because in Le grand bleu he hardly spoke: it was Mayol with the dreamy look and his abstracted air, thus he built the myth and an enigmatic character, almost of tragedy. And whose life ended tragically: in 2002 he committed suicide in his house on the island of Elba. Le grand bleu is an underwater fable based on biographical fragments and Dolphin Man forms almost a diptych, an ode to the sea, but diving into a more complex reality. Because Mayol had many layers. And it is not easy to reconstruct a character who was a globetrotter, a bon vivant despite economic shortages, a somewhat absent father (especially after divorce), a showman and a seducer; but also a loner, a tireless seeker, an ecologist, a spiritual diver. For Mayol, the descent into the depths was something spiritual, an integration in the water, being the sea. When submerging in the marine abyss, everything slows down, the weight of the body practically ceases to exist and the heart hardly beats (it goes down at 20 or even 12 beats per minute). A Zen state without oxygen. Literally. Mayol spent some seasons in Buddhist monasteries, where she learned to meditate and practice yoga, transferring breathing techniques (such as uddiyanior restraint of breathing) and emptying the mind to her dives. “The man who becomes homo Delphinus will have understood that he is not separated from nature or from the sea. You will know that from the microbe to the whale there are no inferior or superior beings. Everything is linked, “wrote Mayol. He talked about the homo Delphinus, but the writer Jean-Albert Föex, also a diver, advocated at the same time for homo aquaticus. Föex is one of the authors that has devoted most pages to the deep sea, from myths such as Atlantis – which, incidentally, was located in the Canary Islands, passing through the marine sites of the Bible or historical trials that trace divers from the ancient Mesopotamia. In its mythical underwater history of men he established a peculiar chronology: first, it was the caveman, then the forest man, followed by the man of arms and horses, the man of modern cities and business … He did not foresee the digital man, but yes to the underwater man: “In a world of masses, speed, noise and violence, hear better the call of a world of solitude, slowness, silence and deep tranquillity”.